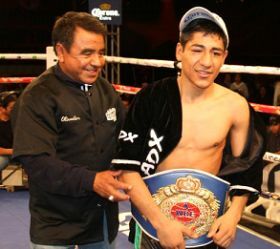 SALGUERO READY FOR CASIMERO: "I WILL RETURN TO THE PHILIPPINES AND BECOME WORLD CHAMPION!" In his return to the Philippines, the former WBF Light Flyweight World Champion Felipe Salguero (18-4-13KO) of the prestigious Zanfer Promotions will try again to capture a world title in the beautiful country of the Philippines. He is in for another big test as he faces the reigning IBF Light Flyweight Johnriel Casimero (18-2-10KO) who trains out of the Omega Boxing Gym in Cebu City and who is promoted by the famous SSG Boxing Promotions owned by the charismatic Sammy Gello-ani. The Philippine fans remember the tough Salguero as he fought the future Hall of Famer, the reigning WBO Light Flyweight Champion Donnie “AHAS” Nietes to a 12 round unanimous decision loss at Pinoy Pride 14 last June 2, 2012 at the beautiful Resorts World. Salguero is wrapping up camp this week and is expected to arrive this Sunday evening in Manila with the same team he had when he fought with Nietes. Salguero has seen two fights of Casimero, when he fought Pedro Guevarra and Raul Hirales Garcia in Mexico. 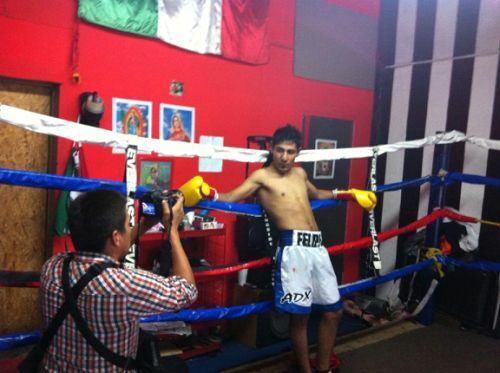 His top trainer Pedro Mora has a game plan to counter Casimero. The Honorable Ambassador of Mexico Julio Camarena-Villasenor will be in attendance to show support to his fellow countryman. This amazing fight will happen on October 26 in the beautiful Makati Coliseum under MP Promotions owned by Manny Pacquaio. This event is free to the public. This will be a standing room jam-packed crowd with fans up in the rafters. Click here to view a list of other articles written by Mike Angel Lopez.